There is a fundamental change in content consumption. The media industry is changing faster than ever. Success in this new, connected age means tapping into social, mobile, cloud, and analytics technologies to engage with customers. Salesforce gives you an edge, helping your marketing managers, sales reps and customer service agents build relationships with consumers by engaging them wherever they are, on whatever device they’re using. 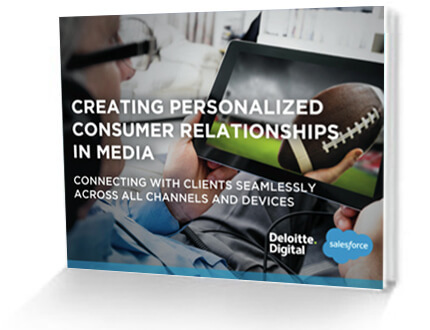 Download this free e-book today and begin capturing more revenue by driving engagement with relevant content available on-demand and across platforms.